On Wednesday 17th January, Forever Manchester Women raised £1,600 to support female-led community projects across Greater Manchester. The networking with a purpose event was sponsored by Slater and Gordon and hosted at Dukes 92 Bar and Restaurant. Once again we heard from two inspirational speakers. Sally is an experienced barrister specialising in employment law and is based at Kenworthy’s Chambers in Manchester. As well as being a busy barrister Sally is also a champion of equality and diversity across a wide range of sectors and interest groups. Sally is also heavily involved in community initiatives. Sally spoke of her journey to become a barrister, and shared with us the seven tips that she wished someone had given her earlier (you can find them below). Marilyn has championed initiatives to make motorsport more inclusive, affordable and accessible. She is also working to close the gender gap in professional motorsports by encouraging girl racers, in particular in innovative ways from the youngest of ages. Marilyn spoke at the event about what drives her work, talking about her belief that motorsport is elitist and the resistance The Blair Project experienced from the industry. A big thank you to the ladies that attended on the evening and, with their ticket price donated to us, helped fund and support community activity across Greater Manchester. Another thank you goes to our fantastic hosts, Dukes 92, and sponsors, Slater and Gordon, our two amazing and inspiring speakers, and our volunteers. 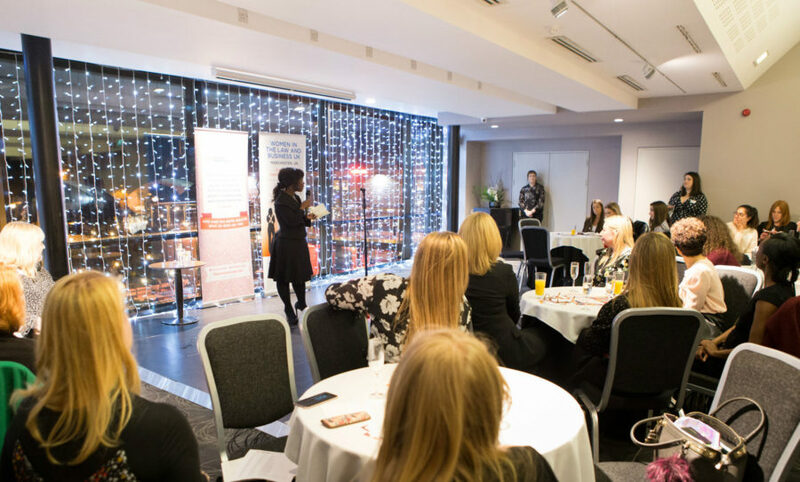 The next Forever Manchester Women event will be an extra-special celebration, featuring keynote speeches from Dr. Helen Pankhurst and Jennie McAlpine and a panel discussion, and will take place on Thursday 19th April at the extended time of 5-8 pm – find out more about it here.